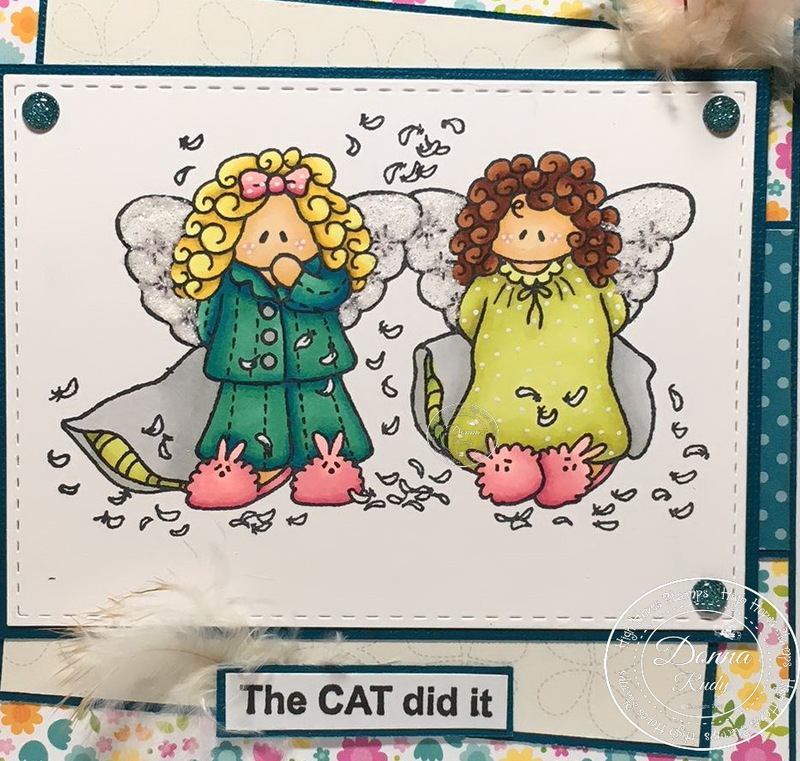 Kards By Krash Scrapper: The Cat Did It! How cute are these two!? I can't help but giggle right along with them! 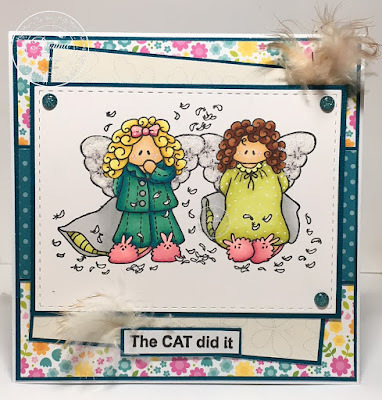 Meet Ashley and Jan's Pillow Fun, an older stamp from High Hopes Rubber Stamps. I coloured these cuties with alcohol markers, cut it out with a stitched rectangle die and added some glittery Nuvo drops to their wings. Patterned paper from Simple Stories, My Favourite Things and Doodlebug were perfect for this stamp. Some feathers from my stash and some matching glitter gumdrops finish off my card. I LOVE that you friends girls blamed the cat made me giggle!! 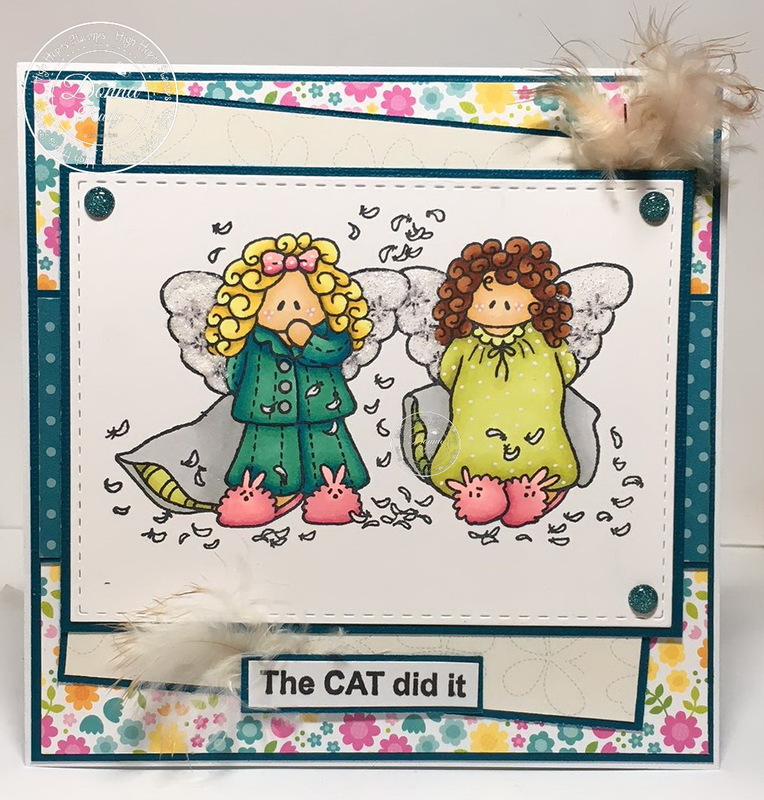 Such an adorable card and story! Love those added feathers too, perfect addition! 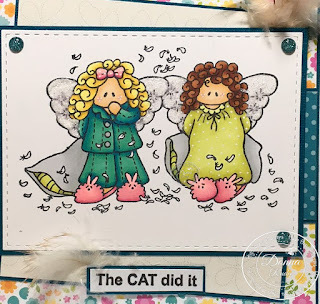 Another fabulous card my friend! !